JRR Tolkein was talking about the creator of a story when he wrote that, but it applies just as much to a game designer. Inconsistent or just plain badly thought-out game settings jar and make it hard for players to get inside the imaginary world you’re trying to create. This is something I always felt very strongly as a game designer, and I often wished for resources that would help me inject just enough realism to make a game setting believable. Well, no point wishing your life away: if you can’t find the perfect resource, write it yourself, that’s what I say! 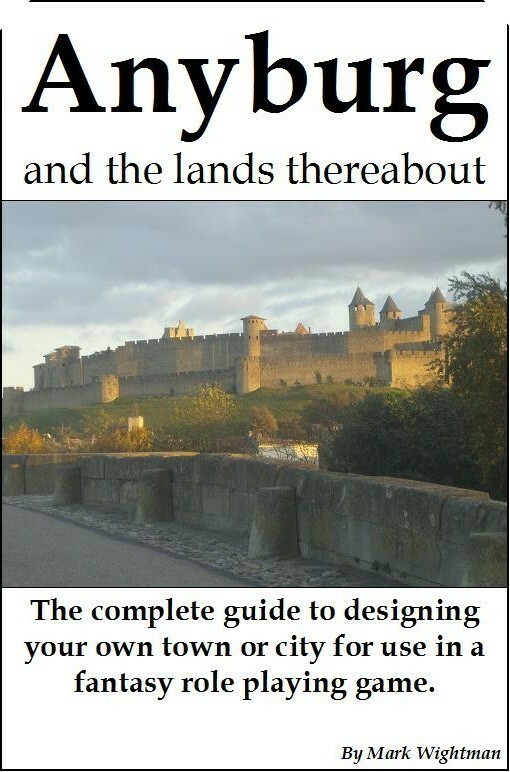 DRAK6: Anyburg and the Lands Thereabout is the complete guide to designing a town or city and the surrounding region, a resource for the Games Master of any fantasy roleplaying game. Download: $4.95 @ wargamedownloads.com and drivethrurpg.com, £3.50 @ lulu.com. Book: £6.50 (+ p&p) @ lulu.com. 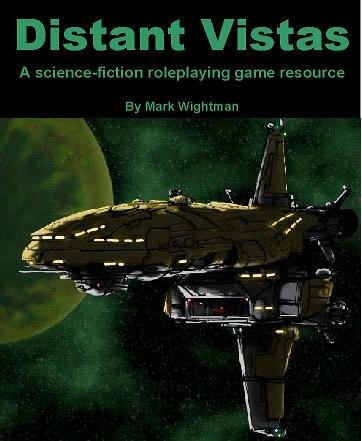 DRAK7: Distant Vistas is a source book for the Games Master wanting to either design a science fiction campaign or find new material for an existing one. Includes details on spacecraft, races, weapons, planetary systems, etc. Download: $4.95 @ wargamedownloads.com and drivethrurpg.com, £3.50 @ lulu.com. Book: £14.95 (+ p&p) paperback or £26.95 (+ p&p) for special hardback edition @ lulu.com. 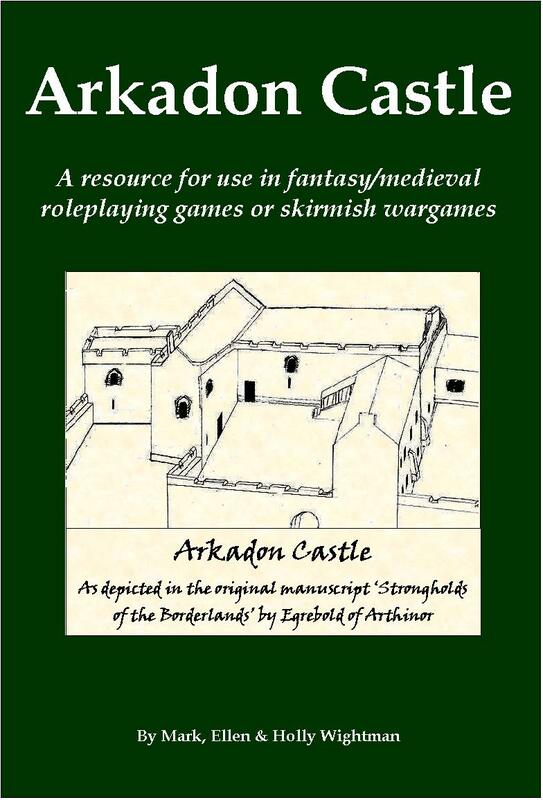 DRAK9: Arkadon Castle is a full set of plans at varying scales for a small castle usable in any fantasy/medieval RPG or skirmish wargame. Includes room plans suitable for use with miniatures. Download: $1.95 @ wargamedownloads.com and drivethrurpg.com, £1.35 @ lulu.com. Book: £9.50 (+ p&p) for the colour version or £4.00 (+ p&p) for the monochrome version @ lulu.com. 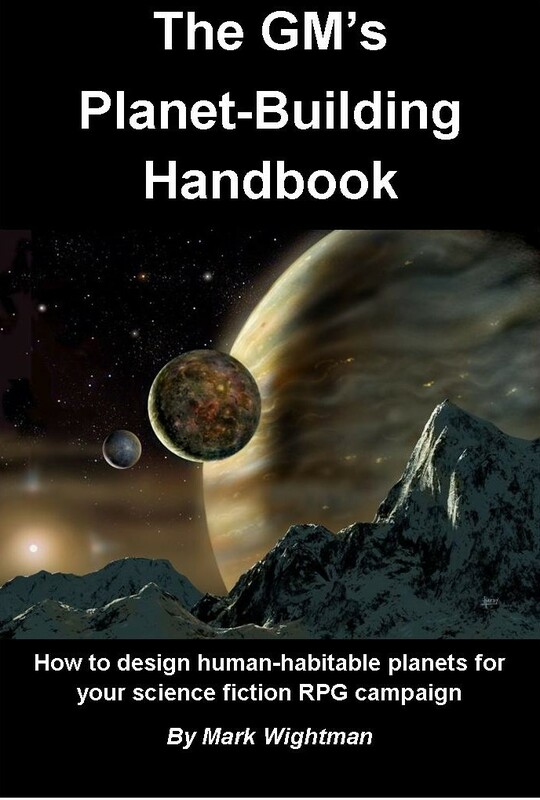 DRAK10: The GM’s Planet-Building Handbook is the complete guide to designing a habitable planet for use in a sci-fi RPG. Includes all you need to know about star types, orbits, planetary tilt, atmosphere, and much more, including how to produce maps. Download: $3.95 @ wargamedownloads.com and drivethrurpg.com, £2.80 @ lulu.com. Book: £8.50 (+ p&p) @ lulu.com. 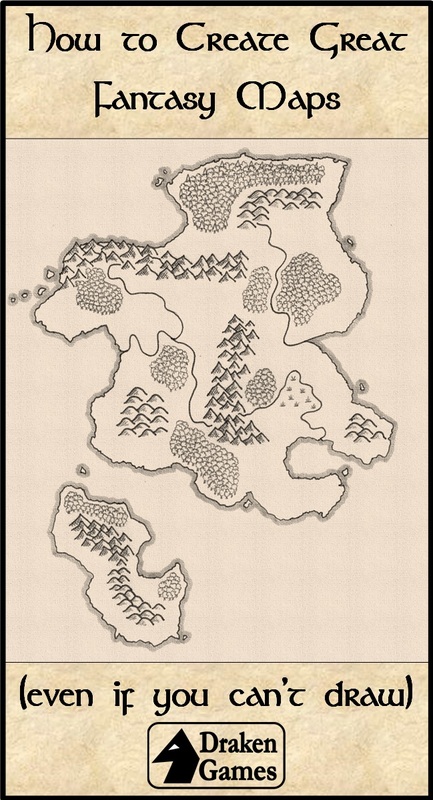 DRAK12: How to Create Great Fantasy Maps (Even if You Can’t Draw) is for all of you who would love to add convincing fantasy-style maps to your gaming creations. Even if, like me, you can’t draw, this guide will help you do just that. No specialist equipment or skills needed. All you need do is follow this step-by-step guide. Download: $1.50 at drivethrurpg.com. DRAK16: Further Vistas: Stars & Systems is a follow-up to Distant Vistas. This resource concentrates on the star systems mentioned in Distant Vistas, giving full information on all 25 of them. 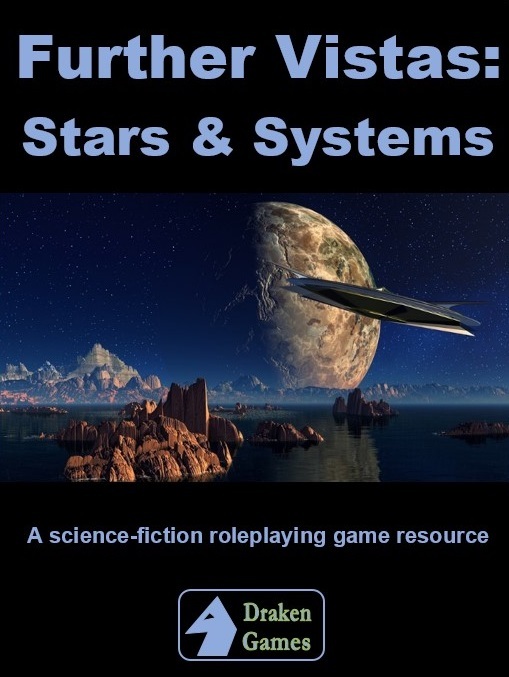 Includes star type, data and descriptions of every planet, information on each intelligent species inhabiting them, a summary of notable features and a bit of history for context. Download: $2.95 at drivethrurpg.com.